Posted by OromianEconomist in Oromummaa. By Asafa Jalata, Professor of Sociology, Africana Studies, and Global Studies at the University of Tennessee – Knoxville. The main purpose of this paper is to theorize Oromummaa by conceptualizing it on different levels and offering theoretical insights and critical analysis of the Oromo national movement in relations to the struggles of other colonized and oppressed peoples. 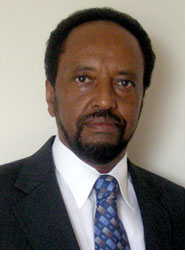 [i] Theorizing and conceptualizing Oromummaa specifically in relation to the ideological problem[ii] of the Oromo nation movement and that of the others require recognizing the need to transform thinking and scholarship in Oromo politics and studies in order to critically and thoroughly assess the prospects for Oromo politico-cultural transformation and liberation. Theoretically, critically, and practically comprehending Oromummaa as Oromo nationalism, national culture, and identity is essential because the Oromo nation is the fulcrum for bringing about a fundamental transformation in the Ethiopian Empire and the Horn of Africa in order to establish sustainable peace, development, security, and an egalitarian multinational democracy. The primary reason for this assertion is that the Oromo are the largest national group in the empire and the region; Finfinnee, which the colonialists call Addis Ababa, is the heart of Oromia and the seat of the Ethiopian colonial state, the African Union, and many international organizations. In addition, Oromia is located in the heart of the empire state of Ethiopia, and the Oromo people have already created a cultural corridor with different peoples of the region. The foundation of this corridor is the gadaa system (Oromo democracy), which with other indigenous democratic traditions can be a starting point for building a genuine multinational democracy based on the principles of national self-determination. Although the starting point of this analysis is Oromummaa, the issues of other colonized and oppressed peoples are addressed. As we shall see below, the theory and ideology of Oromummaaembrace the principles of human freedom, social justice, equality, equity, national self-determination, and egalitarian multinational democracy. [ii] For the better understanding the ideological problem of the Oromo national movement, see Asafa Jalata and Harwood Schaffer, “Gadaa/Siqqee as the Fountain of Oromummaaa and the Theoretical Base of Oromo Liberation,” Journal of Oromo Studies. 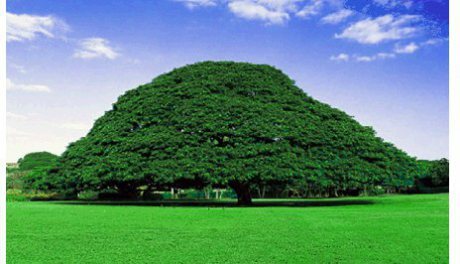 Posted by OromianEconomist in The Colonizing Structure & The Development Problems of Oromia, Uncategorized. makers, and there have been various campaigns going on to overcome it: “to make poverty history.” The United Nations Millennium Development Goals (MDGs) project is for front of these undertakings. In these makings, the issue is absolute deprivation, and the current widely accepted standard defines poverty as living on less than $2 per day and extreme poverty as living on less than $1 per day. The $2 per day and $1 per day figures are in terms of 1990 purchasing power. The World Bank uses these standards to report each year on the number of people living in poverty and in extreme poverty. The definition of poverty in terms of absolute deprivation may make good sense. When people do not have the basic necessities – the food, the shelter, the clothing – that they need to lead a reasonable life, they are living in poverty. Although we might not agree over the exact baseline. There may look nothing wrong with the term. make for a reasonable existence can be directly transformed to purchasable goods and services. Besides, there is the problem of what we mean by ‘deprivation’. Of course, economic well-being – cannot be properly measured and clearly understood by a single, absolute measure. In particular, the meaning cannot be properly captured by individual’s or a people’s absolute level of income. Actually, this issue has been widely recognized by the UN’s Human Development Index (HDI), Sen’s capabilities concept, and to some extent by the Millennium Development Goals (MDGs) campaign. Achieving an income goal alone does not eliminate poverty. A closely related issue is that poverty (or well-being) cannot be captured properly by any single measure or single combination of measures, such as the HDI. Both the terms of poverty and economic well-being do not take into account issues of inequality in the distribution of income or the distribution of other measures of well-being. This failure to take into account issues of distribution in defining poverty (economic well-being) is conceptually and practically problematic. If poverty is understood in absolute terms without consideration of distributional issues, the social structures that generate poverty tend to be ignored. It has to be known that the social structures, the power relations, that have generated and continue to generate poverty. As Arthur MacEwan of University of Massachusetts Boston argues: ‘To a large extent, the poor are poor because they lack power, and they lack power because they are poor. When power is brought into consideration, the focus of policy shifts towards such issues as land reform and the effective control of state actions – i.e., of the underlying factors that determine spending on health care, education and other social services. The problem of poverty, then, would be approached as a socio-political problem, not simply as a technical problem. (Technical changes can bring about changes in socio-political relations, and that is one of the reasons, in addition to their direct impacts, that they are often good. But technical solutions are less likely to be effective when they are implemented without consideration of power relations.’ For instance, as studies on the Horn of Africa recognize, the colonizing Abyssinian Ethiopian structure has been a very serious development problem in Oromia. In recent debates the UN and other international organizations are taking human rights issues to a center stage in the discussions of eliminating poverty as it is to define the post 2015 actions. Actually, individual human rights and collect (group) rights must be at the center stage in processes of poverty eliminations and achieving development. A person can be socially and economically deprived and made incapable to achieve life goals not only as individual but also because he/she is a member of a group. That is what we have learnt from the experiences and studies on indigenous people such as the Oromo nation under Ethiopian social and political structures.